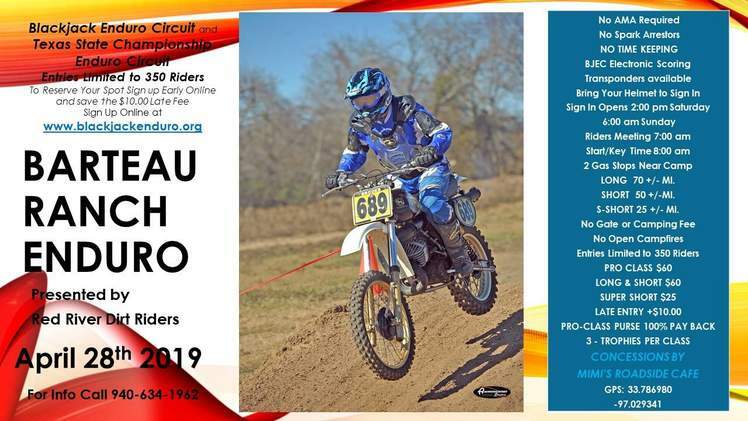 BJEC and TSCEC welcome you to the Barteau Ranch Enduro! This restart format enduro will test all skill levels. There is a kids race on Saturday! Come on out and let's ride! Limited entries to first 350 riders!! Click HERE for Saturday PeeWee Enduro Pre-Entry! NEW!! 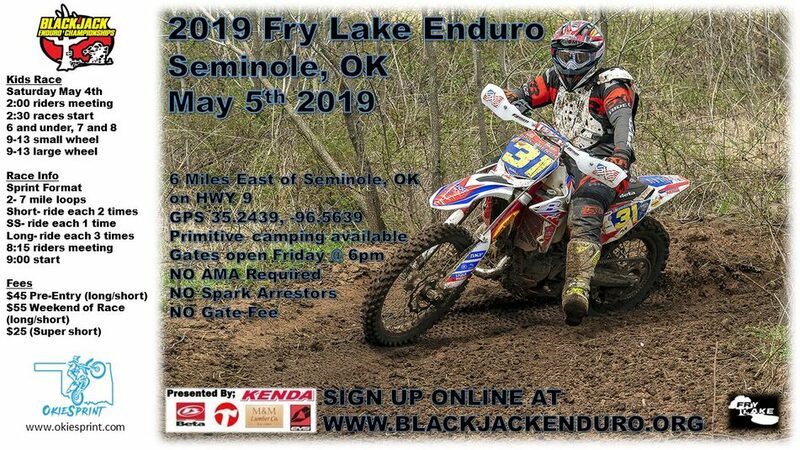 BJEC and OkieSprint welcome to our 2nd co-sanction event of 2019. Fry Lake brings us two 7 miles loops that have a little bit of everything....sand, rocks, logs, trees you name it. This fast flowing course will be similar to last year, one of the loops will be raced in the opposite direction. For the second loop, the Fry Lake crew has some special stuff added just for you long course guys! Save time and $$$ by pre-entering below! 2019 BJEC Membership is OPEN! Click HERE to sign up for 2019 BJEC membership! You do not have to be a member to race with BJEC, you MUST be a member if you are riding BJEC for points! You MUST be a member to earn points towards your championship class, you do not need to be a member to ride an individual event. All riders welcome!